NEWS – Tavern Games A Gamble? 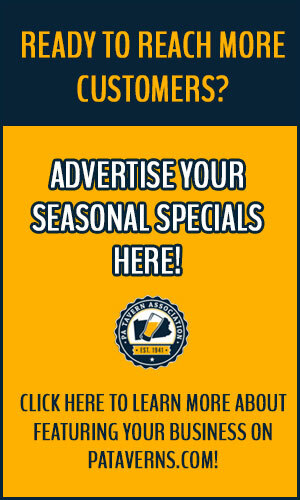 PA Taverns > Latest News > NEWS – Tavern Games A Gamble? April 13, 2015 By mavericks in Latest News Comments Off on NEWS – Tavern Games A Gamble? With only 38 of the 6,000 taverns operating in Pennsylvania now holding licenses to offer small games of chance, this gambling expansion in Pennsylvania that was legalized in 2013 clearly hasn’t proven as popular or as lucrative as state officials had hoped. And Ronda Zeigler, co-owner of the first tavern to obtain one of those licenses, says the state only has itself to blame. Zeigler, who with her husband owns Midway Tavern and Franklin House Tavern, both in Hanover, explained in painstaking detail to the House Gaming Oversight Committee on Thursday what she has had to go through to obtain and keep her license. To fill out the two pounds of paperwork required to apply for a license for each of her establishments took 13 hours, she said. From the time the application was submitted until she received a license for Midway, 35 days passed; for Franklin House, 77 days due to missing information. To keep the financial reporting requirements up to date initially consumed a half day each week for each of their taverns but now she has it down to 15 to 20 minutes a day for each establishment. “Everyone who has interviewed me asks about how much money we are making,” Zeigler said. The hearing on tavern gaming followed one on Wednesday that dealt with how the small games of chance law is working and not working for private clubs. Payne said the committee plans to have hearings on other aspects of gambling as it looks to see what laws need changed to keep Pennsylvania competitive with surrounding states while ensuring the necessary safeguards are in place. 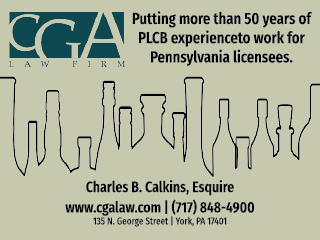 Amy Christie, executive director of the Pennsylvania Licensed Beverage and Tavern Association, which represents 2,500 bars and taverns, offered the committee seven recommendations to improve the small games of chance law as it pertains to taverns. They included simplifying the tavern gaming license application process, lowering the $2,000 application fee and $1,000 license renewal fee, and reducing the background check requirements since tavern owners’ background is already vetted to obtain a liquor license. Also she recommended lowering the 65 percent tax rate on projected profits to 55 percent, adding more games, and untying a gaming violation from a tavern’s liquor license. Zeigler also recommended moving enforcement of tavern gaming to the Department of Revenue instead of the liquor control board, more education and training for tavern owners about what is expected of them, and reimbursing or giving credit to the 20 or so taverns that paid $1,500 more to obtain their license than taverns now are required to pay because the application fee had been reduced. “It’s time for the state to show good faith to us and tell us how and when we are getting a credit or refund,” Zeigler said. A spokeswoman for the Pennsylvania Liquor Control Board said the board is aware of the issues taverns have raised about tavern gaming but points out the process is based on the law. “We can simplify the application itself and we’re working with the Gaming Control Board to do just that,” said liquor control board spokeswoman Stacy Kriedeman. *This post has been updated to add the comments from the spokeswoman for the liquor control board and to correct the location of the Franklin House Tavern.